White HTC Touch comes to Bell Mobility! The Canadian wireless carrier Bell Mobility, now offers the white version of the HTC Touch to its customers and future subscribers. It managed to negotiate and release it faster than Verizon Wireless in the US. The snow version of the device has all the features of its darker brother, which we reviewed earlier. 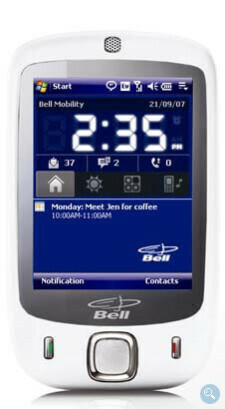 With the EV-DO support the phone has, customers will be able to take advantage of Bell‘s high-speed mobile network. This is very handy and it is functions also very easy .This is used for lot of purpose ,its also too fast to work.In all the way it is use full.